Virginia Right! 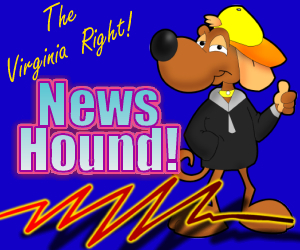 News Hound for 6/21/2010 | Virginia Right! Will Senator Kyl Get Introduced To Bartonism? Would Obama Have Supported Ratification of the US Constitution? Howard Kurtz: Why Didn’t Media Cover Etheridge Attack Like Allen’s Macaca? ← CURLING IS SWEEPING THE SOUTH and in VIRGINIA TOO! Who Would You Trust More Running America The Next Two Years—Obama Or A Quasi Civilian/U.S. Military Government? The Neomarxist behind the Obama/FTC intend to drown out the voice of America with Obama/Marxist propaganda, enforcing new regulations that will cripple bloggers and other alternative media from disseminating information, free speech that grass-roots among other organizations depend on to make informed decisions. Obama’s support of the DISCLOSE Act confirmed what many Americans already believed; that Obama and certain Democrats in Congress intend to strangle the flow of information. If Obama and his leftists associations get their way, our Children will be brainwashed by Obama’s one-sided propaganda at school, through Obama controlled Radio, TV and Obama media policies that restrict the free flow of information. Historically when communists attempt or take over a country, one of their first steps was to control the media and all forms of public communications to control Civilian populations. When Russia took over Hungary, it immediately took control of the Radio stations to thwart Citizen resistance and to psychologically control the People. Considering the Obama administration’s obsession with controlling all media, one might ask, are some of the same persons inside and outside U.S. Government working with the Obama administration to push the Disclose Act and other censorship regulations, involved in causes that promulgate overthrow of the United States? While some in the Obama Government say they support dismantling capitalism, brick by brick, does their endgame call for destruction of the United States? If it does, what should Americans do to stop it? Does the Obama administration’s proposed censorship of free speech e.g., the Disclose Act threaten National Security? In other countries where members of political parties and ideological extremists attempted or succeeded in this kind of forced censorship, forbidding Citizens to receive information, they have been arrested for treason among other crimes. The Obama administration appears intended to curtail Americans’ right to know, restrict American’s right to communicate via the Internet and the Obama administration admits they want to pay writers in newspapers and other media to covertly propagandize their point of view. Is this not treason? Top CZAR Cass Sunstein prepared a 2008 paper that proposed spying on Americans, infiltrating groups and organizations to obstruct Free Speech, disrupt the exchange of ideas and disseminate false information to neutralize Americans that might question government. The majority of Americans oppose military governments. But increasingly during the last six months, more Americans quietly state they would trust the U.S. Military running U.S. Government temporarily over extremists in Obam’s government; that they would support a quasi Civilian/military form of government temporarily provided their civil and constitutional rights were protected and importantly, all leftists extremists in U.S. Government were deposed. This recent change of attitude by Americans might be explained by the fact they can relate to their U.S. Military and find nothing in common with Obama and his extreme leftist associations and supporters. Increasingly Americans appear to fear the Obama government more than the idea of having the U.S. Military temporarily run U.S. Government. Additionally Obama’s refusal to secure America’s Mexican border might have contributed to Americans identifying with a quasi/U.S. military government over an Obama government that won’t protect Border States from foreign invaders. The number of Marxists in the U.S. is small, but having them control any part of our government is repugnant to most Americans that believe it not in the best interest of our economy, national defense and National Security. Considering the direction America is going economically, more Americans are afraid that if things collapse, Obama might use the U.S. Military against U.S. Citizens; that should things collapse a quasi Civilian/U.S. Military government not the Obama administration should run America. This is mentioned only to note there is a strong wind blowing across America, that is howling enough Obama.